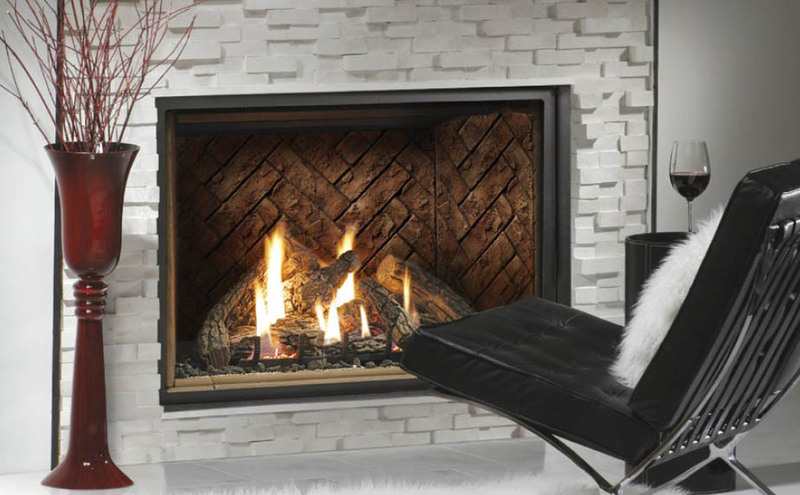 Enjoy the elegance and warmth of glowing embers and lively, dancing flames offered with the Kingsman HB4740 Zero-Clearance Direct Vent Gas Fireplace. It is sure to be the focal point of any space in your home! Overall Width: 47.0625" | 48.0625"
Overall Depth: 16.4375" | 18.875"
Overall Height: 43" | 49"
Choose from a variety of decorative options to create your own distinctive appearance and be assured of complete safety, comfort and long lasting value. Select from a millivolt or intermittent pilot ignition system. The millivolt valve system does not use electricity, but has a standing pilot which allows operation during a power failure with hi-low heat and flame adjustment. The intermittent pilot ignition is electronic and uses an electrode to ignite the pilot. The IPI system ensures the pilot flame extends over the burner for immediate ignition and it conserves energy when the appliance is not in operation. 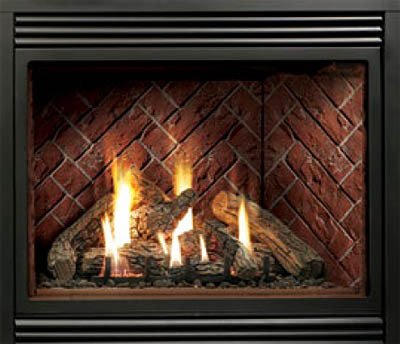 This fireplace has a flame sensor that constantly monitors the pilot flame and provides 100% gas shut off if the pilot is not sensed. The coaxial vent system is a pipe inside a pipe (generally 4" inside/7" outside). The inside pipe is for exhaust, while the outer pipe brings in outside air for combustion. The design of allows for a completely sealed system that does not compromise inside air quality of your home. It also lets you vent a product horizontally (great for when an appliance is installed on an outside wall). Direct vent appliances are usually limited to a length of 40ft (with a maximum horizontal length of 15ft) that will allow an appliance to function properly.